After graduating from his religious co-ed high school, Mark spent his gap year in a yeshivah in Israel. When he returned, he had swapped his small kippah serugah and jeans for a black hat and white shirt. He had replaced his iPhone with a flip phone, his English music playlists with Shwekey and Eitan Katz, and insisted on being called Menachem. He now spends his days in a beis medrash poring over a Gemara, instead of attending classes at Boston University. Mark is an example of the growing phenomenon of young men and women shifting to the right — moving, in various degrees and at various paces, from Modern Orthodox to ultra-Orthodox. They are referred to as “flip-outs,” sometimes admiringly, sometimes disparagingly. And it seems that the vast majority of them made their initial shift while attending yeshivos and seminaries during their gap year in Israel. Some of these teens come from families that adhere to the minimum of shemiras Shabbos and kashrus. Their parents send their children to religious day schools, many of them co-ed, but some may see no problem in eating out at a non-kosher fish restaurant or coming to shul at a Pesach program in swimwear and a cover-up. Others come from families with fathers who attend a weekly shiur and mothers who partially cover their hair. But all are inspired to move rightward as they express newfound excitement with Yiddishkeit. Many of these boys and girls see their year or two in Israel as transformative. They take on more stringent dress codes and amp up their adherence to halachah. To the despair of some of their parents, many return to America and insist on foregoing prestigious universities. They may prefer to further their Torah learning fulltime or opt for colleges that combine religious and secular curricula. Some boys dream of spending years in kollel; some girls dream of being kollel wives. The trend has become so pervasive that articles, songs and a book have been written about it. While the movement is a source of inspiration and often nachas, it is not without its challenges. The spiritual journey brings with it increased ritual observance but sometimes increased tensions at home as well. Those who have undergone this shift may be accused of being brainwashed or having a holier-than-thou attitude. Parents might resent the rejection of their lifelong religious standards. And the young adults themselves might encounter difficulties in shidduchim, dealing with old friends, and fitting in with new ones. Ultimately, the sense of fulfillment that accompanies this emergent phenomenon has brought with it a heightened dedication to Torah and mitzvos across Jewish communities. In several in-depth interviews, we hear how inspiration leads to inspired lives, and also how parents feel about children who move to the right from the path they established. Max F., who considers himself the “quintessential flip-out,” spent two years in a yeshivah in Israel after high school. After finishing a degree in accounting back home, he returned to Israel to study at the Mir. Can you describe your background and education growing up? I grew up in a Modern Orthodox family and community. My parents are baalei teshuvah and they sent me to Modern Orthodox schools. Though my high school was an all-boys school, we shared a bus with the girls from the girls’ school and shared many of the same speakers and events as co-ed schools. My exposure to Gemara was pretty much a daily 45-minute class with a Rabbi. We would open up our Gemara and essentially sit there listening to him give a lecture. It was almost like a college class. During the summers I attended Camp Moshava, a co-ed sleepaway camp. Do you credit your year in Israel as the inspiration for your shift to the right? That’s usually the starting point. I think it’s rare for a kid in the middle of high school to randomly get very shtark and change his clothing and start learning all day. For me it was definitely my year in Israel, but it was a progression. I didn’t put on black and white until I finished my first two years in Israel. It was a gradual transition. My Rebbeim used to challenge my whole existence and get me to think about the meaning of everything. Eventually it kicks in. One of my Rebbeim once got an email from a kid who said that when he first came to yeshivah in Israel, he felt like he was new to Judaism. What kind of backgrounds do these Rebbeim come from? That’s a great question. Many of them have very interesting backgrounds. I would say half of them grew up Modern Orthodox. Some might be very Tzioni, some mainstream, and some come from more yeshivishe backgrounds. Others grew up not frum and became extremely yeshivish. A lot of them will go by their first names, like Rabbi Jake or Rabbi Ben. And they know how to relate to guys like me. For example, one gave a speech about fighting the yetzer hara and used Muhammad Ali as an example. That would only speak to someone who grew up Modern Orthodox. Was your transition easier for you because your parents were baalei teshuvah? One hundred percent. When we were growing up, we didn’t ask about our parents’ religious roots; we didn’t think about that stuff. And then when you go to Israel, you have some parents who are fine with their kids taking a new route and some parents who are crazy anti. I think that when parents are anti it’s either because they feel like their kids are abandoning their Modern Orthodox roots or the parents themselves might be ex-yeshivish and have a vendetta against that world. For me, I had neither. So aside from the classic questions like “How are you going to support yourself if you’re learning?” I had it much easier. What do you think separates the Modern Orthodox from the ultra-Orthodox the most? I think what separates them most is listening to religious authority. Many of the Modern Orthodox will tell you that they listen to a Modern Orthodox Rabbi, but some might quote a progressive rabbi with questionable opinions and think his authority is just as acceptable as other Orthodox Rabbis. Also, at the first yeshivah I attended in Israel, if you disagreed with what a Rabbi was saying in shiur you just screamed out, “I disagree with that.” If a Rabbi at the Mir says something you disagree with, you go up to him privately and say, “Rebbi, maybe I didn’t understand what Rebbi was saying.” The authority has much more weight. Did your personal journey lead you to feel accepted by those who grew up chareidi? The answer is yes and no. I noticed that guys who came from less yeshivish but still mainstream backgrounds were more interested in my background and what motivated me to become more religious. I also felt that some yeshivishe guys couldn’t relate to me. That would explain why there’s a full lunch table at the Mir of guys who grew up Modern Orthodox who are all extremely close. We relate to each other best because we’re dealing with similar struggles, like arguments with our parents, community issues, or relating to old friends. Do you think that many Modern Orthodox are either moving more to the right or the left and fewer are staying where they are? Yes, for sure. For many of these kids, if they don’t move to the right, then they go the other way. If they end up in a secular college in the middle of America, living on campus and doing all the things they do there, they can kiss religion goodbye. Look at my group from Camp Moshava. We were five girls and four guys who were very good friends. Out of those nine, six of them are not religious anymore. How does your background affect shidduchim? You can tell a lot about the psychology of a person from shidduchim. I myself would feel most comfortable with someone from a similar background to my own — someone who went to a Modern Orthodox high school and then went slowly more to the right. That would provide a comfort level for us to relate to each other. I don’t think I would feel as comfortable with someone who came from a really yeshivishe background. But not everyone’s like that. Some specifically want someone who grew up yeshivish. A lot of kids are running from their past. Do these individuals sometimes move in an extreme direction? I started laughing, but of course I’m respectful. I’m not saying it isn’t real. Some of them are the most impressive guys in the Mir. But often, if the process is too fast and too intense, they shut everything out. For example, I have a friend who just had an aufruf and he refused to let anyone speak because he said it’s ona’as devarim. He thinks that speaking or making jokes is inappropriate. That would never happen at a yeshivishe aufruf. How would you advise young people best internalize their newfound attachment to Yiddishkeit? I think you need to find a balance. The Rambam says that if a person wants to overcome something, he is supposed to go to the other extreme. But if you’re going to be shtark, it has to be very slow. Look, some of them don’t go to the other extreme in a healthy way. Someone might come back from Israel with a black hat, black pants and a white shirt, but he might not be there yet hashkafically or in his learning. At least externally he’s somewhat in that place, and slowly over time he hopes to reach that place. But sometimes people just maintain a façade and it’s not real or healthy. Sometime there are bad stories. I remember when I initially got back from Israel, I was always fighting about not doing this and that. Now I can sit down on the couch and discuss the latest baseball game with my little brother. I think there has to be a golden medium, because otherwise it’s very difficult to just drop everything. I think I’m much more religiously active now and am learning more. But in terms of my hashkafic and world view, I think it’s leveled out in a very nice, normal way. Rabbi Shalom K., a menahel of a yeshivah in Canada, inherited the love of Torah learning from his father and developed his own path. How would you describe your upbringing hashkafically and religiously? My father was a talmid of Rav Yoshe Ber Soloveitchik. He’s a YU musmach through and through who went into chinuch and started a day school shortly after getting married. He was a leader in Torah Umadda. I grew up always hearing, “the Rav, the Rav” and “Torah, Torah.” For my father, Torah [superseded] everything. My father met my mother through NCSY. My mother does not cover her hair and is a professor and a very big feminist. She considers herself even less than Modern Orthodox. Do you think that the dichotomy between your parents’ hashkafic outlook influenced the direction you took? No, because my father trumped the day with his emphasis on Torah and mitzvos. He was a rock. We kids looked at my mother’s feminist hashkafos as a need to express herself. We didn’t feel like she was the de’ah in the house. For example, I wanted to go to Camp Moshava as a kid. But my parents didn’t want to send me there, not because it was co-ed, but because there wasn’t enough learning. So instead they sent me to Gan Yisrael. They ingrained ahavas haTorah and learning in me. My family lived in Israel for several years while I grew up, and I went to Mercaz Harav-Noam. My parents didn’t want to send me to a Mamlachti-Dati school because there weren’t enough learning hours there. Mercaz is also Dati Leumi but has more intense Limudei Kodesh. I got a great education there – Chumash, Gemara, everything. I was Zionistic, wore a kippah serugah and spoke with havarah Ivrit. When I moved back to the States, I went to a day school. I was far beyond my peers in my learning because of the background I got in Israel, so my parents had to supplement my learning. I begged my parents to let me go to a chareidi high school before going to Israel, but they refused. Did your shift to the right occur in Israel? But I was definitely influenced in Israel. My parents sent me to a certain yeshivah, believing the Rosh Yeshivah to be a follower of the Torah Umadda mehalech. What they didn’t know was that he had become yeshivish. While I was there, they also wanted me to attend shiurim from a well-known Rav from the Hesder yeshivah movement, but my Rosh Yeshivah wouldn’t allow me to go. My parents never forgave him until today. They blame him for causing me to go in this direction. Were your parents ultimately supportive of your move? Yes and no. There were some horror stories along the way. They wanted me to go to college after Israel and pressured me to go to YU, where I could have gone for free. But at that point there was no way I would go there. I eventually ended up in a chareidi yeshivah in New Jersey. My parents insisted that I get a college degree, which I did online. Then I got semichah from a chareidi yeshivah in Brooklyn, where I was simultaneously able to complete a master’s in education. But what could my father say? I was brought up rooted in mesorah, always hearing “Rebbi, Rebbi, Rebbi.” Now he’s stuck with so many grandchildren who are all chareidi! Do you think your background gives you an advantage as a mechanech in being able to relate to more people? Sure, no question about it. I have to straddle the fences. In my yeshivah, I have parents who don’t care about how their kids do in English and other parents to whom English is very important. I consider myself regular yeshivish. Some people would say I’m not yeshivish enough but rather a “breiter mentch.” My kids are the same. Some of my sons are much more extreme than me in some of their hashkafos, but they can still sit down and have conversations with my Dati Leumi nieces and nephews and can argue intelligently with a Conservadox professor we know. What would you tell parents who might be struggling the way your parents did? Balance is very important. And respect is very important. Adolescents are very much looking for self-identity. They are looking to define who they are in so many different ways. You have to let a kid go through the journey. At the same time, it’s important that he be a well-balanced, normal human being. The same way parents want their kids to respect where they’re at, they need to respect where their kids are at and let them go through the process of searching. As an aside, I think it’s important to mention the difference between out of town and the New York area. In the New York area — like in Teaneck, for example — there’s a sizable frum YU community where the shift is less pronounced because they start out much stronger. There, they also go to Israel and become serious bnei Torah and start asking themselves the same questions that I asked myself. If you ask honest questions about who you are and where you are going, then you end up with a certain commitment to Torah and mitzvos. Andrew S. lives on Long Island and is the father of two daughters, Audrey and Elizabeth, who shifted religiously to the right. Can you describe your religious upbringing and that of your children? I would consider myself to be what I always thought was a typical Modern Orthodox person. I grew up in a Bnei Akiva kind of experience; it was Tzioni, shomer Shabbat and kashrut all the time and always. I consider religion to be a central part of my life. But if I were to be honest with myself, I think I would say that a career and making a living take center stage. Religion is sort of my behavior pattern that fits within that, but it’s not what I think about all day long. These are the same values I raised my children with. They had a dual curriculum with a focus on Torah learning. It was important, but not the be-all and end-all. In elementary school and middle school, one could argue that the Torah piece — the Tanach stories — were probably central. But in high school, to be fair and honest, the emphasis was on secular studies. That said, Audrey always gravitated toward limudei kodesh more than the secular studies, despite the emphasis both at home and at school. What would you attribute that to? I honestly think it’s innate; it’s just something she wanted to do. She felt a calling for it and was always more sensitive and interested in it. She did definitely become more religious when she went to seminary in Israel, but on her way there, I would say she was probably the most religious in her class. And she went to the most religious seminary of all the girls in her class. How would you compare her religious level now to that of the rest of your family? She is more religious than me and my wife; she always was more religious. My wife doesn’t cover her hair, and Audrey does. She only wears skirts and three-quarter-length sleeves. My wife would go to the beach, and she wouldn’t. What about in terms of her ruchniyus? Would she send her children to the same schools and camps that you sent her to? That’s an insightful question. I don’t think so. I think she felt that her high school was not frum enough an environment, and I doubt she would send her kids there. I think she would prefer a school that’s got more ruchniyus. By the way, as a reinforcement mechanism here, both she and her husband are on the same page with regard to all of that. He also felt that his high school wasn’t religious enough for him. He was probably the most religious kid in the school also, and the two of them gravitated to each other in school because of that. Your second daughter, Elizabeth, is moving in the same direction. Do you think that had a lot to do with her older sister? A little bit. But in her case, I think most of it came from her year in Israel. She’s a very sincere girl and when she studies something, she internalizes it. I think her experience in Israel was a new experience, where she had the opportunity to delve into it nonstop for a year without any distractions. That definitely made her see things differently. She became more spiritual. She understood what Hashem wants and that we’re supposed to behave the way Hashem wants us to behave. She studies exactly what we’re supposed to do. Now she davens three times a day; she didn’t do that before. For her, one could argue that it was a more internalized intellectual experience. So whereas Audrey wore skirts before she went to Israel and never wore pants, Elizabeth wore pants before she went to Israel and now she only wears skirts and three-quarter sleeves. Neither of them will go mixed swimming. So Israel was definitely a turning point for Elizabeth. Are you proud of your two daughters for taking a different direction, or do you have reservations? I can tell you with one thousand-percent confidence that I am ecstatic that they chose to go in this direction and not the other direction. An immature individual might feel that he’s perfect and any deviation from his way of life is silly. I personally would like my kids to be exactly the same way that I am, but none of them are. So I’m maturing in my view. I am not so happy that they don’t do all the things that I would love to be able to do with them. It sort of limits the scope of the activities that I can do with my kids. Do you see them heading toward a radical departure from your lifestyle, such as wanting their husbands to learn in kollel? No, I don’t think so. That would probably disappoint me if that happened. They’re firmly rooted, so the values that we instilled in them are consistent with the values that they have now. They’ve just applied a more amped-up level of ruchniyus. I don’t think any of our kids would be interested in not working. I think they internalized that being self-sufficient and a contributing member of society is very important, in the framework of being a Torah Jew. What kind of influence have they had on you and your family? 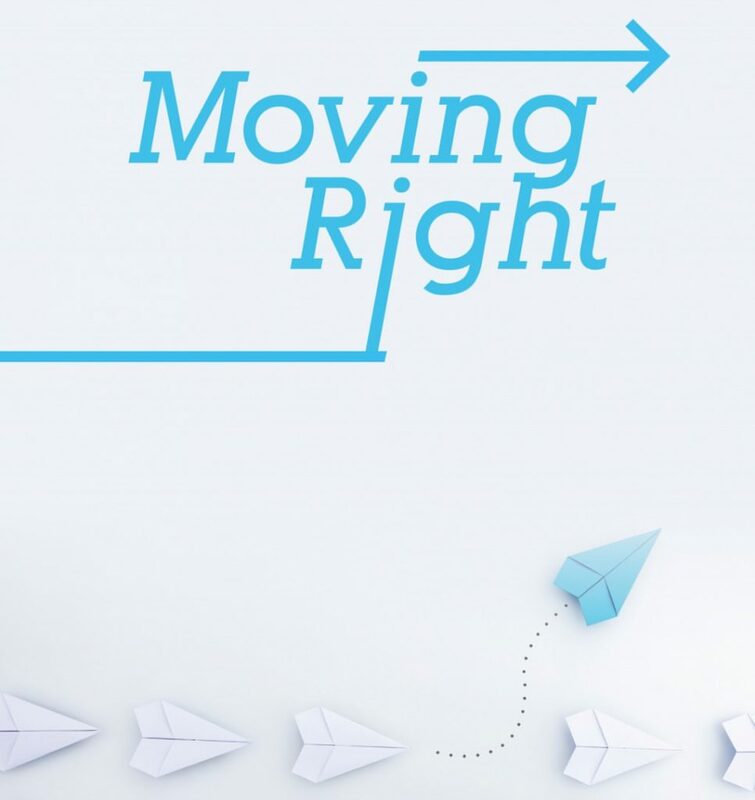 Are you moving more to the right with them? Yes, for sure. It’s inevitable. I see it in behaviors, even thought processes. Like the way I might have thought of people dressed in a certain way as being over the top, but I don’t think like that anymore because now my kids dress that way. I don’t do certain activities because they won’t; we’re choosing different activities as a family that we otherwise wouldn’t have. How do Audrey and Elizabeth view themselves hashkafically? I strongly believe that Elizabeth and Audrey don’t think they have left the Modern Orthodox fold. They simply argue that they might be more sincere than their peers but still believe in the Modern Orthodox way. My son too has also moved sharply to the right after spending a year in Israel, but he feels very much part of the Modern Orthodox camp. He would argue that the distinctions are fuzzy. That sincere, G-d-fearing people need to be connected to the mesorah and need to set their compass to be guided by Torah values. This does not move one in or out of Modern Orthodoxy. I think the key here might be in defining what exactly the distinctions are. At the end of the day, it boils down to the path of Torah or not. The labels pose a problem for those that feel the need to be in a sub-category of observant Jews. Outward appearance in the form of black hats and white dress shirts may define a group’s affiliation, but are their behaviors fundamentally any different? I would argue that my son and son-in-law, who each dedicate hours each day to learning Torah despite not wearing the black-and-white garb, are most likely on a much higher level of Torah scholarship than most of their peers who dress differently. Paradoxically, it may be that their sense of duty comes from it not being forced on them or expected. For example, my son decided to undergo a dual curriculum of secular studies and Judaic studies while at Princeton, despite the extreme pressure. Of course, no one forced him to do it. He wanted it, so he established chavrutot with others willing to advance in Torah studies. Do you think the outside cultural swing to the left is motivating this shift to the right and making it harder for the Modern Orthodox to stay where they are? You touch on an important point, because society has been pulled so far to the left that people get pulled along with it. I think probably more people are being pulled toward secularism than toward the more spiritual, religious pursuits. And I do think it’s an interesting observation that it’s harder to remain squarely in the middle, because the problem with the centrist approach is that there’s intellectual and spiritual inconsistencies within it. With society being so permissive now, I think the pull on the other side is, “I don’t want to do all that spiritual stuff. I want to do all this other stuff and I can.” While more people might have been comfortable in the center before, with all the pressure and distractions today, I think it’s harder to stay in the middle. Eli R. grew up in Zurich, where the European milieu differs from the American Jewish experience. Can you tell us about your religious background and education? My parents keep everything in terms of Shabbos, kashrus and halachah, but they do have a TV and smartphones. It’s hard to call my parents Modern Orthodox, because that’s a very relative term. Growing up, there were two elementary schools in Zurich — one was chareidi and one was more Mizrachi. I went to the Mizrachi school. It was more chilled out, much less limudei kodesh, a little bit of Nach and Hebrew. There was no Gemara, very little Mishnayos; the boys don’t wear kippot and the girls wear pants. That elementary school didn’t have a high school and I ended up going to a public school for high school. My parents didn’t want to send me to there, but the only other option was a very chareidi school, which later fed into Gateshead Yeshiva. How difficult was it for you to be in this environment? It was difficult because even in the Mizrachi school I was always the frummest boy. My parents hired a Rebbi for me for three hours a week, which I initially shared with another boy. As time went on, I had an hour a day with this Rebbi. He was amazing; he really saved me. I also had two Jewish friends who came with me to high school. That also helped to a certain degree, but sometimes it made it worse. After public school, I went to yeshivah in Israel. Did your year in Israel prompt you to move to the right? When I came to yeshivah in Israel, I really wanted to learn. As I learned more and more, I slowly became more and more chareidi. I guess I am chareidi in the way the world defines it; I only wear black pants and white shirts. I don’t think most people make a conscious decision to go from one point to another. I don’t think I made a conscious decision to go to the right. Certain circumstances came to play. For me, it was gradual. There were ups and downs. It wasn’t one specific incident. There are many things that happened that helped keep me on the right path. Once I was on that path, it wasn’t hard to stay on it. I also get inspired very quickly. During high school I went to a camp in Israel where I was very inspired, and that helped me a lot. That camp hadn’t been my first choice. I had originally wanted to go to a co-ed camp in Spain, but my Rebbi convinced me not to. Would you attribute much of your growth to your Rebbeim? My Rebbeim always tried to keep me down-to-earth; I tend to get very immersed in things. But I don’t think I was brainwashed. I was the frum kid in elementary school, certainly the frum one in high school. I wore my yarmulke and my tzitzis out even then. But I was surrounded by non-Jews and Jews who were not so frum, and you always need to have someone to remind you what it’s really all about. Once you’re in yeshivah, it’s easier. I had a lot of siyatta diShmaya. I have friends who also went to public school and then to Israel to learn for a year like me, and now they may marry non-Jewish girls. I think it’s mostly because my parents were more religious than their parents, and I had my Rebbi and other influences. Since I didn’t change radically from day one to day two and I changed slowly, there never was a point where they said, “Wow, what happened?” Certain things were a little hard on them. For example, a few years ago I started growing peyos, and they didn’t like how it looked. But we didn’t have major disagreements. In the beginning it was a little hard, but they ultimately understood and accepted. I have a sister who went more to the left, and they saw that we both didn’t follow exactly in their way. My family is also changing now because of it. My father goes to daven much more now and learns much more. My mother tries to get my sister to dress more tzniusdig. They are catching up. When it came to shidduchim, we discussed what I wanted and what they wanted, and they accepted that I’m a little different than them. Baruch Hashem, they have lots of nachas now from me, my wife and my baby. Karen Y. raised her family in a Modern Orthodox setting. She is proud of two children who moved to the right and not as proud of another, whom she feels moved too far. How would you describe yourself and your family religiously? We are Modern Orthodox, which means we are shomer Shabbos, completely kosher, very Zionistic and send our kids to Jewish day schools and camps like Moshava. We live in a community where most of us have the same background. Some ladies cover their hair; some don’t. By “modern” I mean we are exposed to secular subjects and encourage our kids to go to college. It’s not at all a “kollel environment.” You can learn, like my husband does on Shabbos or sometimes during the week if he has time, but the emphasis is more on having a profession. What religious paths did your children take? All my children went to a co-ed religious school. My oldest daughter came back from seminary in Israel after high school not wearing pants anymore. She married someone from a similar background and is pretty similar now to how she was brought up. She is shomer Shabbos and mitzvos, davens every day. But she covers her hair and wears only skirts, whereas I don’t. My son came back from Israel a little more religious before going to Columbia. There, he became even more religious and wanted to go back to Israel for another year. When he returned from Israel, he lived in Washington Heights and went to shiurim at YU. He became very inspired and influenced, and he decided to become a Rabbi and get semichah from YU. In the beginning, I was hesitant because we never thought he would want to become a Rabbi. He was into sports, things typical of a regular high school kid. We thought he would go into the business world. But he became a Rabbi and a teacher. He’s still in the Modern Orthodox world. He’s much more machmir and learns, but he very much believes in the value of secular subjects and doesn’t necessarily dress the part of a Rabbi. I have to say that we were happy that he became more religious. What about your third child? Before my third daughter, Melissa, went to seminary in Israel, she still wore pants. She went to a centrist sort of seminary, where the kids come from Modern Orthodox backgrounds. She was very inspired there and was befriended by a madrichah who was more to the right than the other madrichot. She convinced Melissa to go to Israel for shanah bet and we let her. When Melissa came back from shanah alef, she had stopped wearing pants and davened a lot. When she came back from shanah bet, she was even more frum, both in clothing and davening. She was davening several hours a day. I was getting a little nervous. I didn’t want her to lose her perspective of where she’s coming from. What is her religious level now and how do you feel about it? That same madrichah from Israel married a baal teshuvah who teaches in a yeshivah in Israel. She encouraged Melissa to meet a guy who had been her husband’s student in yeshivah. Melissa ended up marrying him. He is also a baal teshuvah — he became frum in high school — and now considers himself a neo-Chassid. What upsets me is that he has taken on certain things that in a million years I never thought my daughter would take on. She never kept chalav Yisrael and now the two of them do. It’s not that I’m against that, but if we go to Ben and Jerry’s as a family she won’t be able to join us. And I’ve seen him take things away from her that are not chalav Yisrael and that really bothers me, even though she tells me she’s okay with it. I know that in the future there will be other things that she won’t be able to participate in or have certain restrictions with, and she wasn’t brought up that way. It’s very difficult. She’s taking on things that no one in the family ever took on. In the beginning it was her clothes and her davening, but then she took it a step further and married someone like this. Do you blame the madrichah? Has your relationship with your daughter become strained? One hundred percent. It’s very strained. It’s past the dress. I don’t mind tzitzis hanging out. My son does that too sometimes. But my son-in-law’s tzitzis are way past his knees and it evokes the extreme in my mind. He belittles those who place an emphasis on their profession instead of on learning, and he won’t even blow out birthday candles because of some obscure reason. What would you tell other parents who might be going through a similar experience? I think part of it is my attitude. I would say be more open-minded about it. I was taken aback, so I do blame myself that I didn’t welcome her with open arms initially in a way that maybe I should have. Maybe because I didn’t, she went even more to the right and sought out someone in that direction. And I think I should have gone to our Rabbi with her to talk it out, so that she wouldn’t forget where she came from. Maybe Melissa would have helped me understand what was going on. It’s not easy. People think that if your kids are more to the right, then it’s good. But they’re going to miss out on things. You have to be willing to accept that your family dynamics will change. Some of my friends have beach units in the summer and their kids who went to the extreme right won’t join them. We can make accommodations from both sides, but children shouldn’t forget who their families are. Leeba K., who hails from the Midwest, cultivated her growing affinity for Yiddishkeit in Israel, where she currently lives. Can you tell me about your religious hashkafah growing up? My hashkafah growing up was a mishmash. Both my parents came from homes where their parents were immigrants with varying levels of Yiddishkeit. I consequently grew up with many confusing mixed messages regarding halachah at home. My parents sent me and my siblings to a Modern Orthodox day school, where the more I learned, the less my upbringing at home made sense. I am kind of “black and white” and had issues with hypocrisy from a young age, and it bothered me a lot. I asked my maternal grandfather a lot of questions. He was always very careful about how he answered, because he respected the fact that I was being raised in my parents’ home. But he gave me enough of a feeling that I knew this was something that I someday wanted to understand and explore. The last story my grandfather told me was about Choni Hamaagal. I remember thinking to myself, “Is tefillah that powerful? Can you really talk to Hashem and get what you need just by talking to Him?” The concept of tefillah really stuck with me. It was an underlying force that made me want to learn. Did you find a lot of the answers you were looking for in day school? No, I didn’t. They didn’t really teach hashkafah; it was more learning Tanach, halachah and basic Jewish concepts. When it came to going to seminary in Israel, our school offered us only two choices. The more modern seminary was much more fun and more my style, but something was pulling me to go to the other more religious seminary. I felt that I was going to get the answers to my questions there. Did you find what you were looking for in Israel? Yes. That gap year was what did it — just exposing myself to so many different kinds of people and teachers. Asking questions and understanding more and making sense of what I grew up with led me to where I am today. So it was a spiritual quest for you? Yes. Spiritual and logical. The logical piece was, “This doesn’t make sense.” All the hypocrisy about much of halachah didn’t work for me. But there was also very much the spiritual piece to it. There was definitely something I was looking for, though I wasn’t even sure exactly what it was. I stayed in that seminary for two years, where I also realized how important it was for me to make my future home in Israel. When you returned, how did your new outlook manifest itself? I realized right away that my parents wanted to accommodate me, and I didn’t want to make them uncomfortable. I was grateful that we were both able to come to a happy medium. But my mother wasn’t happy with all my new restrictions, and my parents didn’t get what was wrong with wearing pants. It was also hard for me to shift my relationship away from the many male friends I had. But, ultimately, my parents saw that I was happier. I was much more settled. I had really found my place. And there was a lot of respect for what I was doing. As long as I presented it in a way that I wasn’t talking down to them and I respected where they came from, there was a lot of mutual respect. A yeshivah bachur spends much of his time immersed in yeshivah and learning. As a girl, how did you find expression for your new lifestyle? That’s an interesting question. I found myself becoming extremely close with our shul Rabbi, his wife and family. I spent so much time in their house, soaking it all in and watching them and their interactions. They struggled through the illness and death of a child and I was awed by their strength. It encouraged me to want more of that inner strength that keeps you going through hard times. My parents are also tremendous baalei chessed and huge machnisei orchim. They didn’t do it because the Torah said they have to do chessed; they are just intrinsically giving people. I think that was passed on to me. People may say, “Oh, she’s doing chessed.” But I’m just doing what my parents taught me. I also didn’t think in terms of labels then. I wanted to marry a seriously religious guy, and to me that meant someone who loved the Torah. It didn’t necessarily mean he would learn all day. I wanted my husband to learn because I felt that that was how we would grow. Did you raise your children with that same outlook? I have children all over the religious spectrum. We went through a lot of personal challenges as a family. In the beginning, it was important for me that my kids be chareidi. But as my life evolved, I realized that all I wanted was for my kids to be normal Torah Jews. As I was going through my trials and tribulations, I realized that the only important thing was that I stay connected to Hashem. I am thrilled that all my kids ended up staying frum, but their relationship with Hashem is up to them. Did your religious journey enable you to better cope with your challenges? There’s no doubt that I got through because of my relationship with Hashem. My grandfather’s story kept me going. I realized that I can talk to Hashem just like Choni Hamaagal did, and I can ask for what I want. Hopefully I’ll get it, though I might not get it right away. The only thing I have in my power is to pray. And I think the koach of tefillah is what kept me sane. Each story above is unique because each person comes with his or her own unique set of circumstances. While those who become more religious may share a common desire of wanting to deepen their commitment to halachah and ruchniyus, different conditions relating to an individual’s personality, family, education and environment will determine the route and the depth of that commitment. It became apparent to me while speaking to the interviewees that they are proud of the path they took, but not necessarily proud of the particular moniker attached to them. This might account for the revealing fact that most of the individuals I asked to interview declined, and those who participated insisted on anonymity in perhaps a realization that labels are rarely worthwhile. What also emerges is a sense of the shrinking middle ground in Orthodoxy that used to be representative of the majority of Orthodox Jews. This may be an outgrowth of outside secular influences pushing the limits of accepted decency and morality, causing many to push in the other direction. And as the frum population continues to grow, this trend should continue to grow as well. The shift to the right is a phenomenon that is likely here to stay, inherent challenges and pitfalls notwithstanding. So long as the world outside embraces elements antithetical to the Torah, we will continue to see young adults growing and embracing a newfound commitment to Yiddishkeit, being inspired and inspiring others.